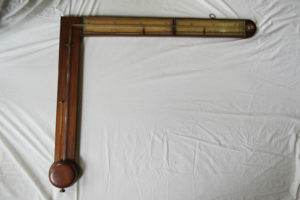 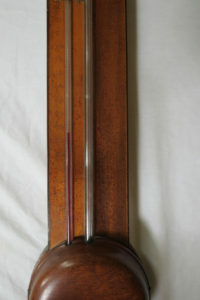 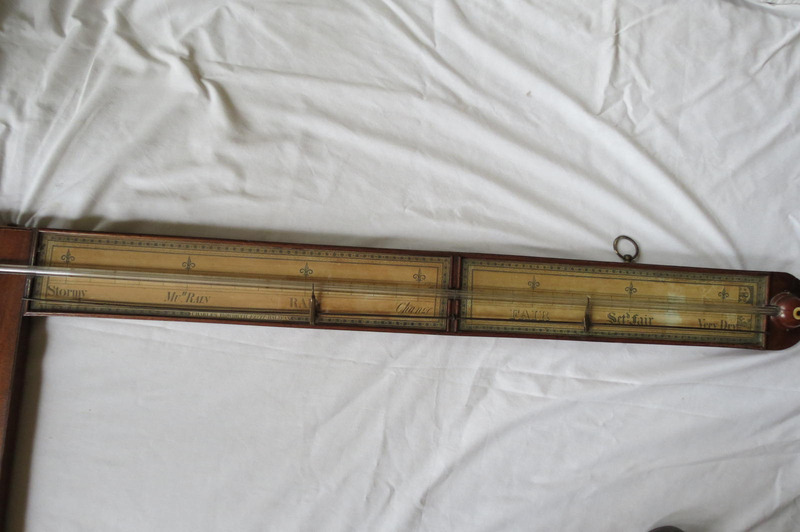 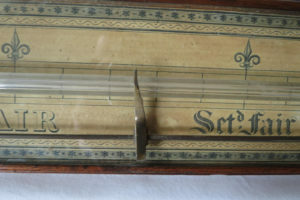 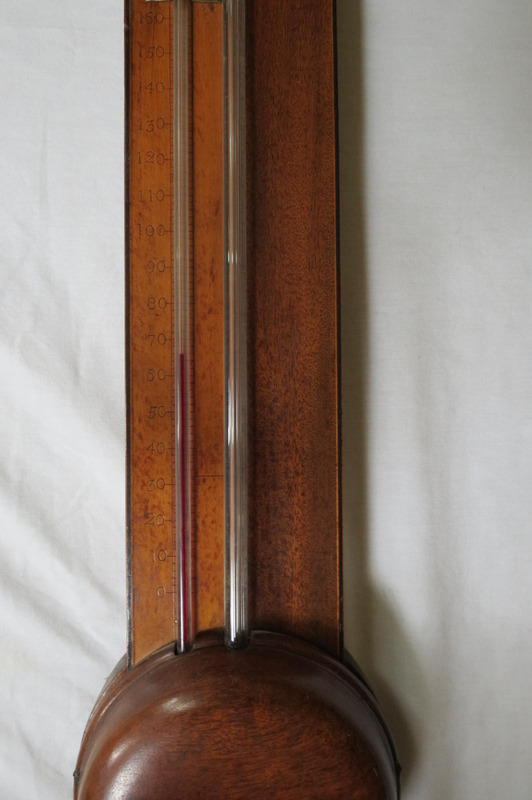 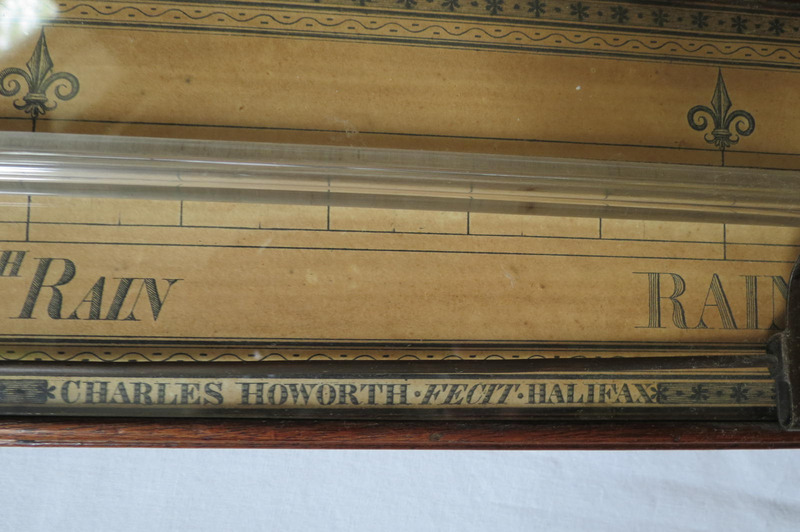 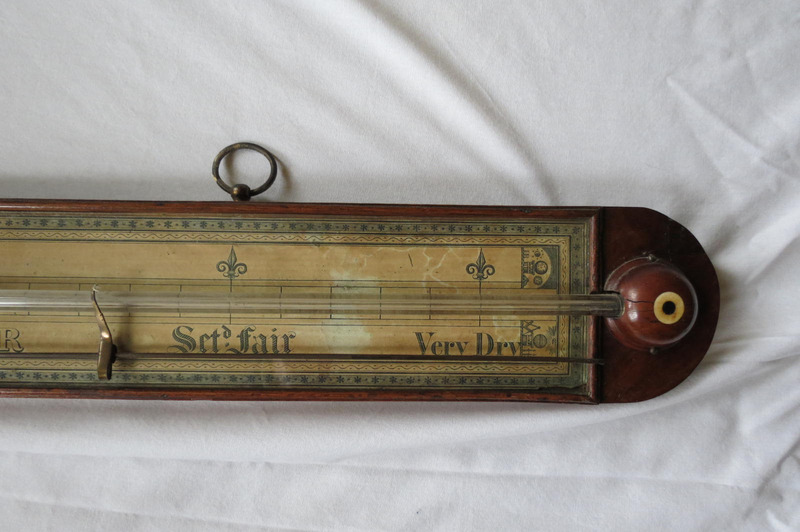 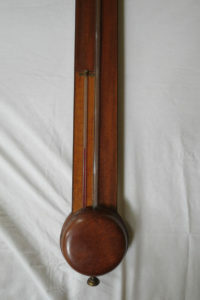 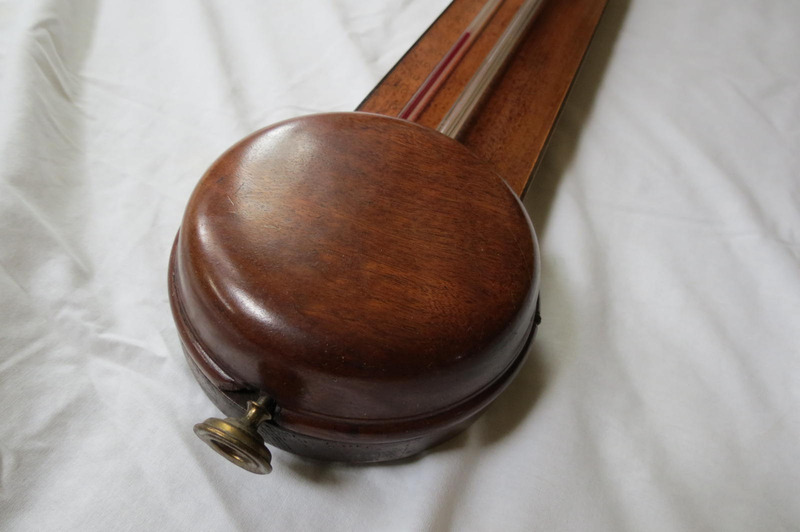 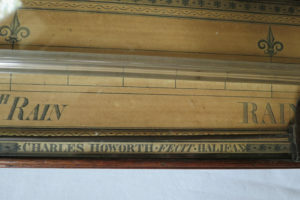 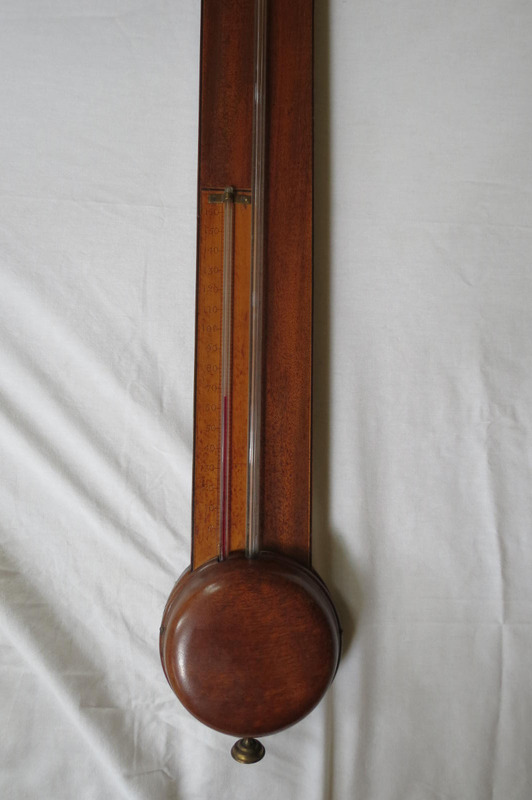 From what I was able to learn about this piece, this is a Mahogany Angle Barometer by Charles Howorth, England, with two-part engraved paper scale with credit Charles Howorth, Fecit, Halifax with fleur-de-lis markers Charles Howorth was working in Halifax from 1823 to 1852. 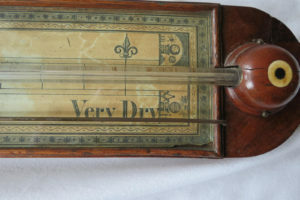 I was surprised to see this is from 1830’s. 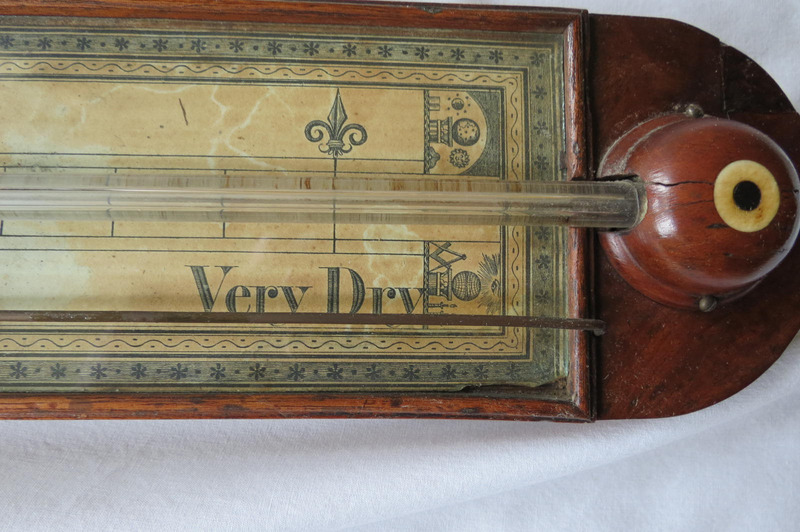 All in all for the age it is in relativity very good condition. 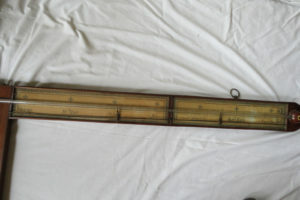 Selling barometers is a item I normally do not sell and do not know all the proper terminology associated with barometers. 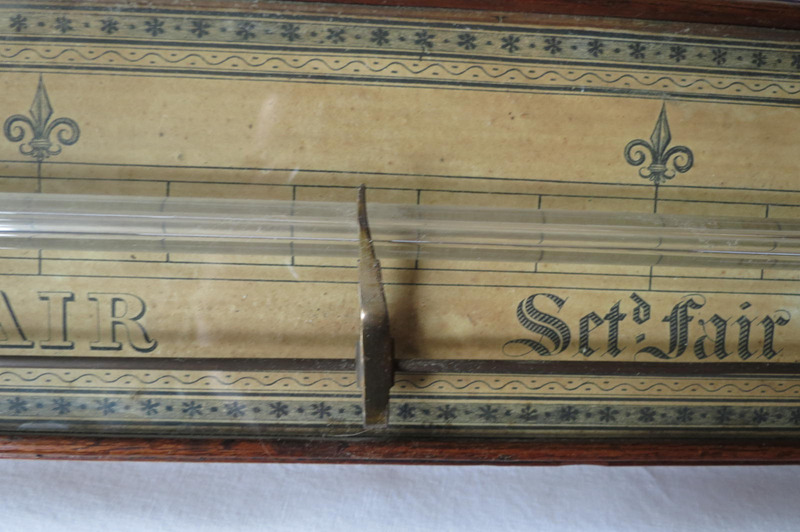 So please have patience. 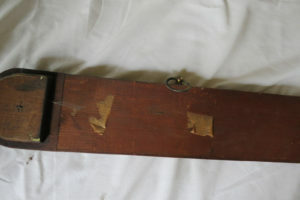 This was purchased in the early 70’s in England and has been in the same family until recently when the gentleman passed away at 93. It was hanging on a wall in the same spot since the time it arrived in Chicago. 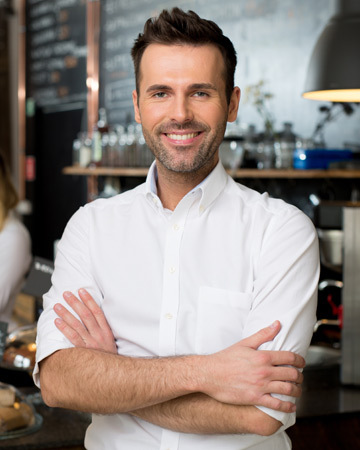 Decatique Studios is a family owned service that has been serving Chicago since 2013. We have nearly 40 years in buying, collecting and selling vintage and antiques. We love and enjoy what we do. 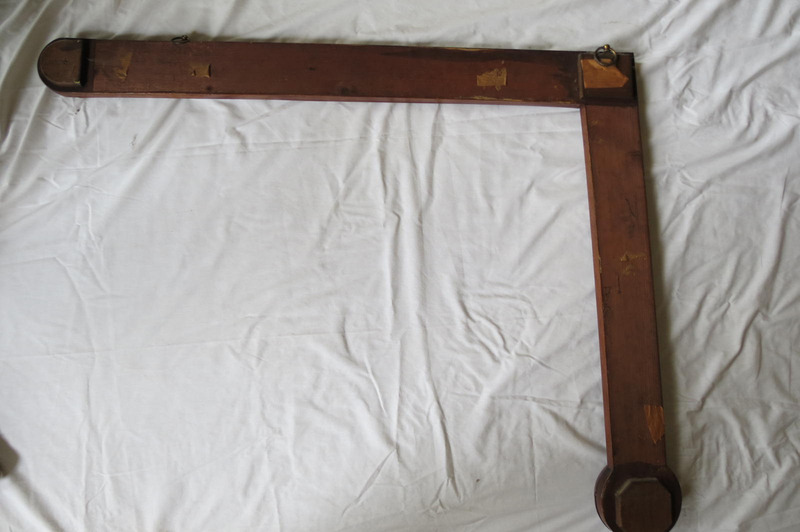 © 2017 Decatique Studios Inc.